This is the text of a paper from which I will be speaking at the March 2007 meeting of the Organization of American Historians in Minneapolis. Questions and comments are welcome. I should stress that this is only a point of departure for me and I hope to explore these ideas in greater depth at a later date. National Denomination or Worldwide Communion? In the early years of the twenty-first century, with controversy and rumors of schism running rampant within the American Protestant mainline, the Episcopal Church, for so much of its history the embodiment of establishment values and good taste, has finally been forced directly to grapple with the hitherto unresolved nature of the authority by which it determines doctrine. The Church’s evasion of this issue for much of the twentieth century owes much to its eschewal of strict confessional statements and to the singular way in which Episcopalians have understood their status within the American denominational setup. During the fundamentalist-modernist debate of the 1920s, for example, Episcopal Church leaders finessed the issue of Scriptural authority by appealing to the authority of the historic creeds of the Church as the litmus test of orthodoxy, even though this merely postponed the crisis over authority. Though active in ecumenical dialogue, moreover, the Episcopal Church for most of its history has refused to define Christian reunion in exclusively catholic or protestant terms, favoring the notion of itself as the “bridge-church,” resolving the disagreements of the Reformation era. The changing nature of the debate in the years since the Second World War can be attributed to three main causes. The first relates to the shifting character of the American episcopate. Despite significant theological conflict during the nineteenth century, Episcopal bishops generally constituted a united front in their relations with the outside world. Following the model established by John Henry Hobart, Bishop of New York from 1811 to 1830, most eschewed active engagement in the political controversies of the day, whether in matters of economic justice or moral regulation, which helped sustain a sense of unity in the episcopal college. The ecclesiastical authority implicit in the House of Bishops began to fall away during the 1960s, however, as a number of articulate and controversial bishops sought to substitute their prophetic witness for the corporate authority of the Church. Whatever the merits of individual actions (and not all were equally meritorious), together they weakened the ability of the House to affirm a doctrinal standard of any sort and strengthened the belief that doctrine was ultimately determined solely by the legislative fiat of the Episcopal Church’s General Convention. A second contribution to the crisis of authority has been the rise of an Evangelical subculture within American Anglicanism. 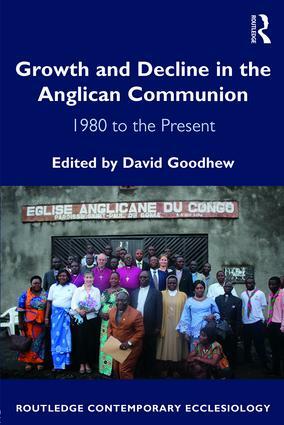 Although a minority within the Church as a whole, Anglican Evangelicals achieved spectacular successes in a number of parishes during the 1970s, which helped propel a process of denominational renewal that led to the creation of a new seminary and a number of influential missionary and evangelistic agencies. In the process, they developed close ties with Evangelical Anglicans in other parts of the world, instilling in them a much greater appreciation for the catholic nature of the Church. Even as a majority within the Episcopal Church began to question the value of a relationship with the rest of the Anglican Communion, Evangelicals sought further to promote it. The Evangelical commitment to the wider Anglican family demonstrated a commonality of theological outlook and an appreciation of the numerical concentration of the Anglican Diaspora within the nations of the Global South. The spectacular growth of this portion of the Church has evoked a new sense of responsibility on the part of Third World bishops for the doctrinal health of the Anglican Communion and sympathy for those in the United States whom they perceive as persecuted for adhering to traditional teaching. As the theological divide has widened, so the dissenting American minority has increasingly looked for leadership outside the boundaries of the United States, a complete disruption of the American paradigm of denominational conflict in which disputes tend to be resolved by the creation of a new sect. Episcopal congregations that have fled their Church in recent years have sought refuge under the oversight of foreign bishops in other provinces of the Anglican Communion. From the former’s perspective they remain Anglicans submitting to the duly constituted authority of the Church; from the perspective of their opponents, they have defied the only legitimately constituted authority permitted within the United States. Ironically, both cases can be made with a degree of plausibility, given the currently undefined status of authority within the Anglican Communion in general. With the retirement of John Allin in 1985, the stage was set for an increasingly bitter confrontation between the progressive majority in the House of Bishops and a vocal and talented minority of Evangelical bishops who in 1987 founded the Irenaeus Fellowship to uphold the primacy of Scripture and the Tradition of the Church. Theological debates during the late 1980s and early 1990s became increasingly bitter and at the General Convention of 1991 these tensions spilled over into internecine strife. Writing of a 1992 meeting of the House of Bishops, Bishop Alden Hathaway of Pittsburgh prophetically commented: “Unless the bishops honestly and directly face the root issues that divide us, as they divide the church, no amount of process management or interpersonal management can establish working relationships that will provide the pastoral leadership our church desperately needs.” In 1995, ten conservative bishops brought charges against Walter Righter, retired Bishop of Iowa, who had ordained a non-celibate homosexual. The determination of a church court that Righter had violated no doctrine or discipline of the Episcopal Church convinced many conservatives that no appeal to Anglican tradition could now be counted on to sustain their theological beliefs. The stage was thus set for a complete breakdown of collegiality in the House of Bishops. 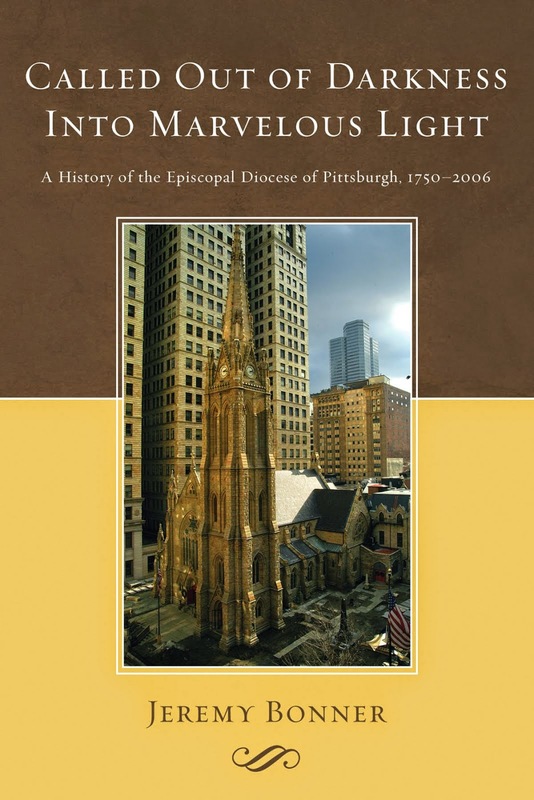 The localization of the renewal movement to southwestern Pennsylvania was enhanced by the election of Alden Hathaway, then president of the Fellowship of Witness, as Bishop of Pittsburgh in 1979. 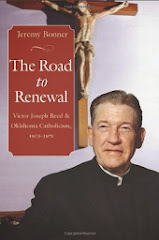 Hathaway offered moral support to the fledgling seminary, even as he championed the renewal movement at the national level, but many bishops proved reluctant to sponsor candidates for ordination to TESM and few staunch Evangelicals were elected to bishoprics during the 1980s. While opportunities for TESM graduates broadened considerably during the 1990s, the seminary’s counter-cultural message and its close ties to Anglican dioceses in Africa and South America, many of whose bishops held advanced degrees from TESM, proclaimed its ambivalent relationship with the already compromised authority of the national Church. If such pronouncements revealed a separatist impulse, the deliberations of the 1998 Lambeth Conference pushed American Evangelicals toward solidarity with the overwhelming majority of Bishops from the Third World. The Conference established benchmarks for Anglican witness that had not previously been enunciated in any coherent fashion and Evangelical Episcopalians could with credibility maintain that the views they held were now far more in harmony with the Communion-wide consensus that the majority view in the Episcopal Church. The late 1990s also witnessed the emergence of a number of renewal organizations determined to confront what they viewed as the erosion of the Biblical foundations of the Faith, most notably the American Anglican Council (1996). Solidarity with like-minded Anglicans worldwide would increasingly come to define the Evangelical modus operandi. What is debatable about such a proposition is that it assumes the submission of Third World church leaders to an amorphous privileged power structure in the developed world. Since 1988, the Global South has made it very clear that it has an understanding of authority that is universal and prescriptive. While clearly unwelcome to many progressive leaders in the United States, it cannot be dismissed as an attempt by wealthy conservatives in the United States to undermine duly constituted authority structures in the Episcopal Church. The steady collapse of Episcopal Church authority has only accelerated since Lambeth 1998, with the consecration of missionary bishops from the United States by foreign archbishops in 2000  and the decision of the 2003 General Convention to confirm the election of Vicki Gene Robinson, a divorcee who had living openly in a homosexual relationship, as Bishop of New Hampshire,. By approving Robinson, the Episcopal Church publicly committed itself to a course that would dramatically widen the gulf between a majority of Anglicans in the United States and Canada and their co-religionists in Africa and Asia. 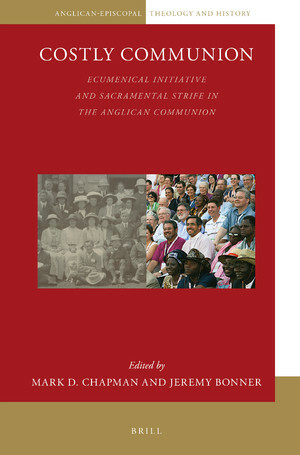 It would lead to the commissioning of The Windsor Report – a concerted effort to come to grips with the problem of inter-provincial relations regarding disputed theological issues within the Anglican Communion – by the Archbishop of Canterbury and the increasingly vocal assertion by the metropolitans of the Third World provinces for a greater say in Communion-wide affairs. For half a century the Episcopal Church has been moving toward a confrontation over the nature of authority. At issue is not simply a debate over theological interpretation but a widely diverging understanding of ecclesial practice. On the one side stands a largely progressive constituency whose views may be described as autonomist. For them, American Anglicanism is simply a subset of mainstream American Protestantism, adhering to democratic norms of participation and resolving theological controversy through consensus, if possible, but by parliamentary action if necessary. Bishops are viewed, first and foremost, as executive officers charged with the efficient management of an ecclesiastical enterprise. Fraternal bonds with the wider Anglican family are seen as of great importance, but always with the understanding that national church is final arbiter of what is proper Anglican behavior in its locality. A minority – many of them Evangelicals – favor a confessionalist approach. Confessionalists understand Anglicanism (wherever located) as an expression of Western Christianity. While they do not reject the idea of church democracy, they have serious reservations about leaving determination of doctrine to the mercy of ephemeral parliamentary majorities and accord much greater priority than autonomists to the selection of bishops on the basis of their pastoral and, above all, theological gifts. For confessionalists, the Lambeth Conference takes on a particular significance because it is composed solely of bishops (progressive critics frequently indict the Lambeth Conference precisely because it has no clerical or lay representation). While there is room for diversity on such matters as liturgy, there is no such discretion when it comes to matters of doctrine. Seeking the approval of the other provinces for dramatic departures from the existing church order is less a courtesy than a necessity. While a process of “reception” can be constituted for ecclesiastical innovations that do not raise immediate objections, this cannot be entered into unilaterally. Autonomy, for the confessionalist, remains heavily circumscribed in the areas of faith and morals. Robert W. Prichard, “The Place of Doctrine in the Episcopal Church,” in Ephraim Radner and George R. Sumner, eds., Reclaiming Faith: Essays on Orthodoxy in the Episcopal Church and the Baltimore Declaration (Grand Rapids, MI: William B. Eerdmans Publishing Company, 1993), 28-35; William H. Katerberg, “William T. Manning: Apostolic Order and Evangelical Truth,” in Modernity and the Dilemma of North American Anglican Identities, 1880-1950 (Montreal: McGill-Queen’s University Press, 2001), 107-134. On Hobart’s philosophy and influence on the polity of the Episcopal Church, see Robert B. Mullin, Episcopal Vision / American Reality: High Church Theology and Social Thought in Evangelical America (New Haven: Yale University Press, 1986). Such episcopal detachment frequently drove their more socially aware clergy to distraction. 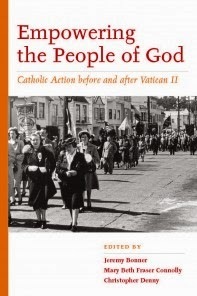 See Jeremy Bonner, “‘An Account of My Stewardship’: Mercer Green Johnston, the Episcopal Church and the Social Gospel in Newark, N.J., 1912-1916.” Anglican and Episcopal History 72:3 (September 2003): 298-321. It is interesting to compare this process with Joel Carpenter’s account of the shift from separatism to cultural engagement by American fundamentalists from the 1920s to the 1940s. See Joel A. Carpenter, Revive Us Again: The Reawakening of American Fundamentalism (New York: Oxford University Press, 1997). [A bishop] must hold firm to the sure word as taught, so that he may be able to give instruction in sound doctrine and also to confute those who contradict it. Titus 1:9. Ian T. Douglas, “Whither the National Church? Reconsidering the Mission Structure of the Episcopal Church,” in Robert B. Slocum, ed., A New Conversation: Essays on the Future of Theology and the Episcopal Church (New York: Church Publishing, 1999), 60-78; Henry Knox Sherrill, Among Friends (Boston: Little, Brown and Company, 1962), 225-234; Robert Prichard, A History of the Episcopal Church (Harrisburg, PA: Morehouse Publishing, 1999), 229-234. Paul Moore, Presences: A Bishop’s Life in the City (New York: Farrar, Straus and Giroux, 1997), 207. Powel M. Dawley, The Episcopal Church and Its Work (Greenwich, CT: Seabury Press, 1955), 129. Robert W. Prichard, “The Place of Doctrine in the Episcopal Church,” 35-43; William Stringfellow and Anthony Towne, The Bishop Pike Affair: Scandals of Conscience and Heresy, Relevance and Solemnity in the Contemporary Church (New York: Harper & Row, 1967), 5-20. Kenneth Kesselus, John E. Hines, Granite on Fire (Austin, Texas: Episcopal Theological Seminary of the Southwest, 1995), 202-206, 232-3, 240-271. On Episcopal attitudes to civil rights, see Gardiner H. Shattuck, Jr., Episcopalians and Race: Civil War to Civil Rights (Lexington: University Press of Kentucky, 2000). Kesselus, John E. Hines, 272-286, 303-345. Moore, Presences, 173-91; Stringfellow and Towne, The Bishop Pike Affair, 57-2, 140-159. As John Spong charmingly put it: “John Maury Allin would succeed John Elbridge Hines. It was like having George Wallace succeed Abraham Lincoln.” John S. Spong, Here I Stand: My Struggle for a Christianity of Integrity, Love, and Equality (San Francisco: Harper Collins, 1999), 232. Prichard, A History of the Episcopal Church, 255-257; Spong, Here I Stand, 235-236. “Allin’s brand of leadership, concerned as it was with reconciling and placating, turned the House of Bishops into the Hall of Compromise,’ writes Walter Righter, “Efforts to compromise produced more tension than reconciliation.” See A Pilgrim’s Way (New York: Alfred A. Knopf, 1998), 90. These included William Frey of Colorado, FitzSimmons Allison of South Carolina and Alden Hathaway of Pittsburgh. Prichard, A History of the Episcopal Church, 283-293; Spong, Here I Stand, 310-312, 388-390, 401-409; Righter, A Pilgrim’s Way, 35-37, 55-84, 100-114, 128-131. Hathaway is quoted in the newspaper of the Diocese of Pittsburgh. See Trinity, March 1992. Go therefore and make disciples of all nations, baptizing them in the name of the Father and of the Son and of the Holy Spirit. Matthew 28:19. On nineteenth century Evangelicalism, see Allen C. Guelzo, “Ritual, Romanism and Rebellion: The Disappearance of the Evangelical Episcopalians, 1853-1873.” Anglican and Episcopal History 62:4 (December 1993): 551-577; Ibid., For the Union of Evangelical Christendom: The Irony of the Reformed Episcopalians (University Park, PA: Pennsylvania State University Press, 1994); Diana H. Butler, Standing Against the Whirlwind: Evangelical Episcopalians in Nineteenth-Century America (New York: Oxford University Press, 1995). This relationship worked both ways. English Evangelicalism was at low ebb prior to the revivals led by Billy Graham in the early 1950s. One of the products of these revivals was John Guest, who later came to the United States and became a leading voice in Anglican Evangelicalism. See Randle Manwaring, From Controversy to Co-Existence: Evangelicals in the Church of England, 1914-1980 (New York: Cambridge University Press, 1985), 87-95. John R. W. Stott, “Jesus Christ Our Teacher and Lord: Towards Solving the Problem of Authority,” in J. I. Packer, ed., Guidelines: Anglican Evangelicals Face the Future (London: Falcon Books, 1967), 39-66. For a profile of Stott, see Roger Steer, Church on Fire: The Story of Anglican Evangelicals (London: Hodder and Stoughton, 1998), 268-76. See http://www.episcopalian.org/efac/articles/efachst.html. On the Keele Conference see Manwaring, From Controversy to Co-Existence, 174-90. Philip Edgcumbe Hughes, “The Credibility of the Church: Understanding the Church in an Ecumenical Age,” in Packer, Guidelines, 147-79 (quotes on 151 and 157). Alistair E. McGrath, The Renewal of Anglicanism (Harrisburg, PA: Morehouse Publishing, 1993), 49-64. Renewal took both charismatic and non-charismatic forms. On the former, see Dennis and Rita Bennett, The Holy Spirit and You: A Study-Guide to the Spirit-Filled Life (Plainfield, NJ: Logos International, 1971). One of the popular texts for non-charismatics was Richard F. Lovelace, Dynamics of Spiritual Life: An Evangelical Theology of Renewal (Downers Grove, IL: Inter-Varsity Press, 1979). TESM was founded in 1976 and moved to Ambridge in 1978. Despite the Evangelical ethos that motivated its founders, a decision was made early in the seminary’s existence that mutual respect would be shown to the three ‘streams’ of Anglican liturgical practice: the Evangelical; the Anglo-Catholic; and the Charismatic. Thus, while TESM undertook to prepare women for Holy Orders, it also guaranteed that the consciences of Anglo-Catholic seminarians – who opposed the ordination of women – would be respected. See Steer, Church on Fire, 348-361 and Janet Leighton, Lift High the Cross: A History of Trinity Episcopal School for Ministry (Wheaton, IL: Harold Shaw Publishers, 1995). The exceptions were Terrence Kelshaw, a former TESM professor, and John Howe, rector of Truro Church in Fairfax, Virginia, who were both elevated to the episcopate in 1989. 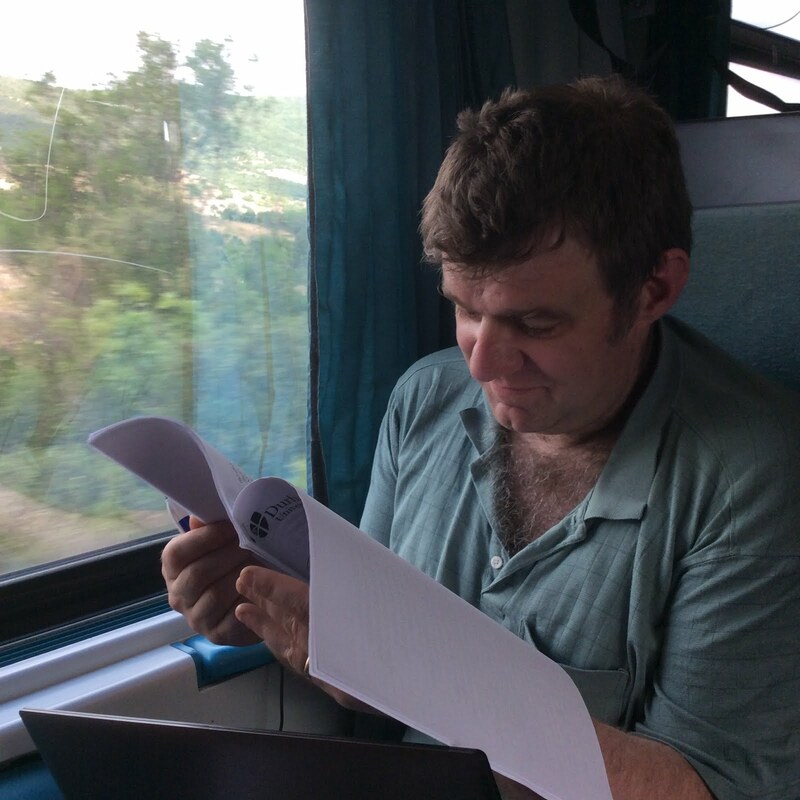 Simons’ article, entitled “Parish-Eye View of Ministry and Structure,” first appeared in the newsletter Anglican Opinion. It was reproduced in the diocesan newspaper. See Trinity, September 1993. Fitzsimmons Allison, “Evangelism: The Transformation of Trivialisation,” in Timothy Bradshaw, ed., Grace and Truth in the Secular Age (Grand Rapids, MI: William B. Eerdmans Publishing Company, 1998), 119-27 (quote on 125). See the essays in After Lambeth in Mission and Ministry 11:2 (Spring 2000). According to the grace of God given to me, like a skilled master builder I laid a foundation, and another man is building upon it. Let each man take care how he builds upon it. For no other foundation can any one lay than that which is laid, which is Jesus Christ. 1 Corinthians 3:10-11. On the origins of the Communion, see Stephen Platten, Augustine’s Legacy: Authority and Leadership in the Anglican Communion (London: Darton, Longman and Todd, 1997), 57-72. The implications of the rise of Christianity in the Global South are discussed by Philip Jenkins in The Next Christendom: The Coming of Global Christianity (New York: Oxford University Press, 2002). John Booty, An American Apostle: The Life of Stephen Fielding Bayne, Jr. (Valley Forge, PA: Trinity Press International, 1997), 96-119. The memorandum is quoted on 98. Philip H. Thomas, “A Family Affair: The Pattern of Constitutional Authority in the Anglican Communion,” in Stephen W. Sykes, ed., Authority in the Anglican Communion: Essays Presented to Bishop John Howe (Toronto, Canada: Anglican Book Centre, 1987), 119-143; David Hammid, “The Nature and Shape of the Contemporary Anglican Communion,” in Ian T. Douglas and Kwok Pui-Lan, eds., Beyond Colonial Anglicanism: The Anglican Communion in the Twenty-First Century (New York: Church Publishing Inc., 2001), 71-98. Ian. T. Douglas, “The Exigency of Times and Occasions: Power and Identity in the Anglican Communion,” in Douglas and Pui-Lan, Beyond Colonial Anglicanism, 25-46 (quote on 30). See http://www.globalsouthanglican.org/index.php for some examples. Some centralization of function has also taken place within the office of the Archbishop of Canterbury. See Platten, Augustine’s Legacy, 133-148. This is the subtext of James Solheim’s Diversity or Disunity? Reflections on Lambeth 1998 (New York: Church Publishing, 1999). http://anglicansonline.org/archive/news/articles/2000/000130a.html. One of those bishops was John Rodgers, retired dean of Trinity Episcopal School for Ministry. See The Windsor Report, Section C, Paragraphs 97-104, and the discussion of the nature of Anglican conciliarism in Frederick H. Shriver, “Councils, Conferences and Synods,” in Stephen Sykes, John Booty and Jonathan Knight, eds., The Study of Anglicanism (Minneapolis, MN: Fortress Press, 1998), 202-216. Note the discussion of the process by which women’s ordination was accorded reception status within the Anglican Communion in The Windsor Report, Section A, Paragraphs 12-21.